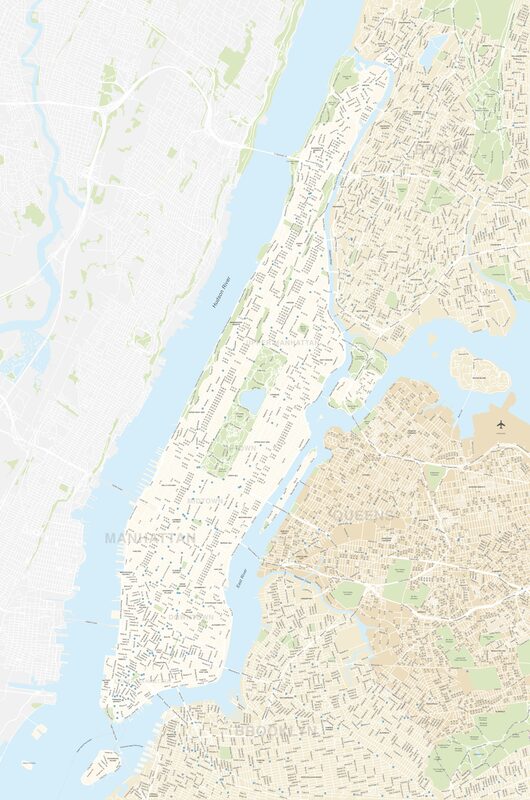 Maproom’s editable vector map bases for New York City include a base showing all the boroughs in their entirety – Manhattan, Brooklyn, Queens, Bronx and Staten Island – plus the neighbouring area of New Jersey when cropped with a natural north-alignment map projection. 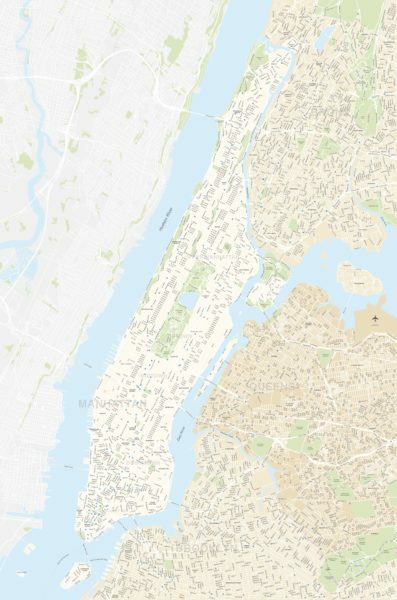 A second base map zooms into central New York – Manhattan and environs – on the same projection, with extra details in the form of districts, road names, and subway / metro stations. Styling options in the form of PDFs and JPEGs are included alongside fully editable Adobe Illustrator and SVG files. All the paths and fonts are live in the vector files, so you can substitute your own fonts, change all the colours and add extra labels as you want.